Tech company Pinterest publicly embarked on a mission to get more women on board as staff. A year later there’s good news, but not good enough for some. 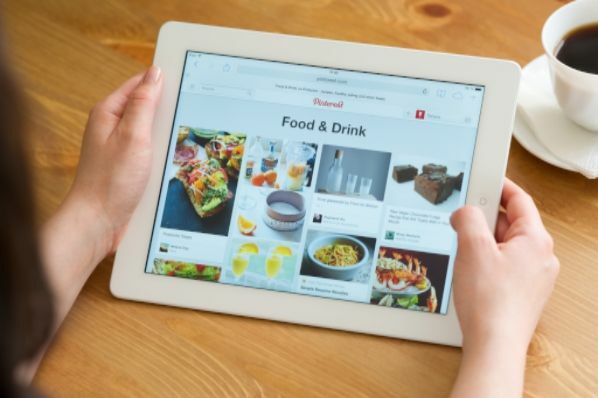 Pinterest is like an online scrapbook where visitors can get inspired by pictures of everything from dream weddings to recipes to DIY crown molding tutorials. Users, who tend to skew younger, spend nearly 100 hours each month browsing and pinning pictures. The popular website attracts 110 million users each monthly with almost three out of four of them being women. Pinterest has become a target in the latest trend to increase diversity (gender and race) in tech companies by shaming them for the makeup of their staff. Given that women are the primary users of Pinterest, it’s assumed that women should be over-represented among the company’s staff of 500 people. Last year, Pinterest revealed that 42 percent of their staff was female, but they lagged in female representation among engineers (19 percent) as well as other areas of diversity. So the company set ambitious goals to increase female hiring rates for full-time engineering roles at 30 percent. They also set goals to increase hiring rates for full-time engineers from “underrepresented ethnic backgrounds” to 8 percent from 1 to 2 percent and non-engineering roles to 12 percent. “We still aspire to 30%—but realize it’s likely going to take more than 12 months to get there,” Pinterest CEO Ben Silbermann wrote on the company’s blog. Over the past year, Pinterest’s hiring rate of women in engineering roles was just 22%, “one of the reasons being our prioritization of hiring senior women engineers vs. focusing on a larger number of junior engineers,” Silbermann wrote. While they missed their goals to get more women in the ranks, they beat their goals for more engineers of color (increasing from 1 percent to 9 percent) and met goals of increasing hiring rates for underrepresented minorities in non-engineering roles (7 percent to 12 percent). And let’s not forget that they hired more senior female engineers, who will undoubtedly serve as mentors and recruiters in the field. Inevitability, hiring more senior level female engineers at Pinterest will go a long way in recruiting other young women. Once a young woman sees someone she can aspire to be, the path to advancement becomes clearer and more attractive. Last year, Pinterest set a series of public goals for its diversity hiring. It announced its intention to hire women for at least 30 percent of the full-time engineering roles that were available in 2016. This week the company announced it missed that target — women only made up 22 percent of the engineer hires — and then decided to lower its hiring goal for 2017. Sure, why not? It’s still 2016, let’s just continue to lower our expectations for everything. We’re on a roll. If Pinterest can fix the gender balance in its business division, it can fix the balance in engineering — and it shouldn’t take two full years to accomplish it. Just go out and hire more qualified women. That’s easier said than done. To hire more women, you need more women in the applicant pool and that means we need more women in the field of engineering and technology. That likely requires recruit girls and young women to study those fields in college and high school. But before Washington kicks off an expensive campaign to lure girls into science, technology, engineering, and math (STEM), we need to acknowledge a big factor: the role of choice. Women choose careers and courses of study based on many factors including fulfillment, interest, and flexibility. Whereas men tend to go into careers that are heavy on math, technology, and science, women tend to choose careers in the humanities, social sciences, medicine, and education fields. The market values those choices accordingly. Women are willing to trade thousands of dollars in higher salaries for example, for greater flexibility. Although some progressives and feminists would have us think otherwise, that’s not a bad thing. It unrealistic to assert that because women make up about half of the population that half of all industries should be comprised of women. Holding that logic true, we should limit the number of women hired as medical assistants, dental hygienists, social workers, and teachers. Tech companies that choose to hire more women should do so because they want the best candidates for their needs – not to fulfill a social agenda. We set ourselves up for disappointment when we set and hold companies to a higher standard than is realistic.